In sports, any little edge that you can give to your team that the other team does not have, will help your team win more games. The video below focuses on the mental side of competing which can severely impact a players performance, especially at the competitive level. Creating a winning culture, and focusing your mind is a good habit to practice in sports and in life. 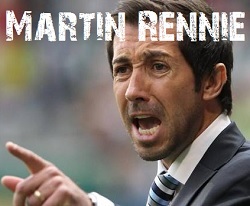 Martin Rennie is the coach of the Vancouver Whitecaps FC. During his first season with the Whitecaps in 2012, he led the team to first MLS playoff birth. All the text below was taken from the video above – full credit goes to Martin Rennie. Video embedded from the Coaches Site. Unless you think big, you are doing a disservice to yourself and to your team. The potential we have to succeed far outweighs what we believe most of the time. The potential of our athletes is far far higher than we give them credit for. You don’t want to hold back your athletes. This comes before success. You can’t wait for success to build your confidence and then build your culture. Make sure you build a culture that sustains itself whether you win or lose. Most people agree that you can’t have excuses, but a lot of people have “legitimate reasons why they can’t succeed” those are excuses! You need to find ways to overcome those problems so the team can succeed. If the teams loses is it the refs fault, the other players fault or your fault? Are you saying there is nothing you can do to make the team any better? Are you giving away responsibility to someone else? There is nothing you can do to help? For Martin respect is building an environment where people understand, recognize and respect what other people bring to the team. No one player is the best at everything, the team needs each type of player, and each player plays a role in success. Everybody wants to win, but that doesn’t mean you’re going to win. Having REAL desire is when you’re willing to make sacrifice. Unless you’ve got a team filled with people who want to be the absolute best your team will never be at it’s best. You need to be willing to sacrifice being comfortable to be the best. Being the best is not easy, being good is easy, it’s comfortable, players need to push themselves and work hard to be the best. Is your self image affecting your level of success? Is your self-doubt holding you back? Your self image is built on what other people have told you, or on past experiences. You can’t do this or that, because everyone tells you that’s the type of person you are, and that’s the type of person you become. You have players who do well in practice but not in games, that’s entirely to do with how they view themselves and that view is based on what other people have told them and what you are telling them. Unless we get our players to their full potential we have not done our best as a coach. How do we re-engineer the mental part of the game? Until you get the players thinking that they can be outstanding they are only going to be average. They will never be their best. They need to be aware of what they are thinking and if it’s the wrong thing they need to change it to the right thing. What is mentally holding you back and what is the TRUTH? Write out what the truth is example – “I’m a great player, I’m a goal scorer, I’m a great passer, I’m a hard worker, I’m a fast player, I win battles on the boards, etc, etc” (use what applies to you). Write them out, repeat them, record them and put it to music, listen to it on your ipod, GET IT IN YOUR HEAD so you can consciously change what is subconsciously holding you back! Once you get that right, a lot of things start to become easier. Mental Movies – Imagine yourself on a big screen, imagine everything, the feel, the smell, the sound. When game time comes it’s already happened 100 times in your brain and you’ve got the confidence to do it again. We all want things, but are they actually goals, or are they just wishes? It’s too easy to get comfortable, it’s too easy to just be good that we don’t force ourselves to be great. It’s natural to want to be comfortable, our mind doesn’t want to work harder, but if you desperately want it and build up reasons to succeed and reasons not to fail you can make it happen. You need to plan your goals in detail. You need to know everything in detail what you need to do to succeed. You must have the self-image of a person who can achieve that goal. If your self-image does not believe that it’s possible for you to achieve that goal then nothing will help you succeed. On the team you coach you have many team members and every team member has a “bucket”. Positive players who are having success on and off the ice with loads of confidence have a “full bucket”. There are also players who have low confidence, they aren’t playing that well, maybe they have some personal problems at the moment, those players have an almost empty bucket. 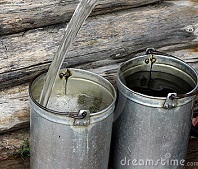 To get the environment you want and get the most chances of success you need to “fill those buckets”. When you do that you have a better chance of enjoying yourself and succeeding. When you cut down players and always tell people what they can’t do or have done wrong and highlighting their faults you are emptying their bucket. If you are pointing out the positive things, and get your other staff members to do the same, and get players to do the same you will start to see that people are good at giving encouragement and thrive on it. Get in the habit of encouraging players, saying positive things, pointing out a few things they do well and focus on their strengths. Encourage people to be the best! Attempt to create an environment where players do not say negative things about other players behind their backs. If there is a problem you can say it to the player or coach, but avoid speaking negatively of players in groups when the player is not there. This does nothing for the team. Create a culture where everyone builds the other players and staff up. Instead of complaining behind the players back, mention it constructively to the player to help them succeed. I hope you have taken away a few positive points from this article. If you enjoyed reading all of these points I encourage you to watch the video. Martin does a much better job of delivering the points and driving them home in the video. Set aside an hour to watch the video and then work on implementing the points that are made. I think they will help you become a better player and a better person. I have recently discovered the coaches site and have been reading a lot of the articles and watching all of the videos. I will be sharing some of the videos here on How To Hockey and breaking down the key concepts within the video (in case you don’t want to watch the entire seminar). If you are a coach or player who wants to study the game of hockey I recommend checking out the coaches site, there are detailed seminars from many professional coaches and you can learn a lot. I’m a grad student in Sport Psychology and hockey player (and blog follower). Everything you posted is great stuff! Control the controlables!